Tru here. Please remember I can only speak for myself. Dementia is not one-size-fits-all ! My problem with communication is once I lose track, everything after that starts to crumble. The following suggestions may help me stay on track and participate in conversations at least in this early stage. This is my Holiday gift (Chanukah, Christmas, etc) to my own loved ones & those of my friends. ……..2) Check “Language Guidelines” to avoid hot-button terms. ….B) Allow time in between sentences and change of subject. Allow interruptions. 2). Mouth visible: Make sure I can see your mouth when speaking, in order to help put together audio puzzle of sounds into words and sentences. Like many Persons With Dementia (PWD), I have a sound-processing disorder. The sounds scramble and brain has difficulty putting the puzzle together. This makes telephone conversation extremely difficult. If you use insufficient enunciation, it further blurs actual sounds, compounding the problem. 1). Single person speaking; avoid simultaneous speakers. 2). Avoid startling or loud noise; Any loud or startling noise has pinball-effect in my brain, which is extremely distracting from remembering subject, noun, and verb, in order to pull your sentence together. That “noise” can also be visual surprise, such as a child moving quickly – or even visual clutter. Movement is more intense distraction than stationary sight. Intense color contrast gives more distraction than many things in solid color. 3). Avoid “background” noise: Any distractions are huge problem with communication. “Background clutter” noise of radio, TV, (or even water faucet) compounds the puzzle of your words because my brain has difficulty knowing which sounds come from which source – they are all mixed together. Visual distraction can also be extra loose objects on table or floor. ….C) Bring person or activity; Do not expect sustained conversation with me. Bring one or two friends who are willing to move slowly & speak slowly. You can chat in my presence – letting me just speak up occasionally rather than requiring me to pull one-half of conversation. Or maybe we could “chat” while doing something else, lessening my burden for carrying a conversation, like while walking, or gathering firewood, or washing dishes even. Yes, I need to see your mouth moving when you talk, so look at me when speaking, but that gives me something to do so there is not an awkward silence while I try to match some words to the concepts floating around in my head. We could fold laundry or take a walk outside, put together a puzzle or I could crochet while you work on a different project. Pictures of people & things are great ideas also. 1). Health: Other distractions can be as simple as a drippy nose or trying to keep something “in the back of my mind”: the stove is still on, the dog needs to go potty, I need to go potty as soon as I finish wiping my nose, etc. 2) Hallucinations: I am already experiencing hallucinations, which are very common with Lewy Body Dementia. Others experience them almost every waking hour, and may be trying to focus on your words, despite trying to ignore creatures flying at them, or (for me) bugs that I see on your skin. We have experience and cognitively understand that these things are not real, but you know the saying “seeing is believing” … and it is very distracting to conversation. 1). Reduce extra phrases and clauses: Makes it easier for me to connect subject with verb. I am most likely to remember first phrase in your topic … and the last phrase; most of what you have sandwiched in the middle is lost. Avoid descriptive monologue, where something is being described. Often that description becomes the only thing I remember; I have forgotten WHAT is being described, WHY it is being described, and HOW this description fits into your larger topic. Usually I have forgotten the larger topic all together! 2). Consistent use of past/present/future tense; less confusion. 3). Use proper names (eliminate he/she/it/they); I forget who/what you are speaking of. ….B) Avoid “Building Block” conversations with progressive thought concepts: (Here comes the conditional clause.) IF I have problem with a simple conditional clause (if>then) in single sentence, THEN it stands to reason that there is little chance I will grasp consecutive paragraphs using building-block concept. You lost me on the second step because brain must still keep concept of step one in mind, in order to understand step two – and I have already forgotten step one by the time you get to step two. I have probably lost our topic all together. 1. 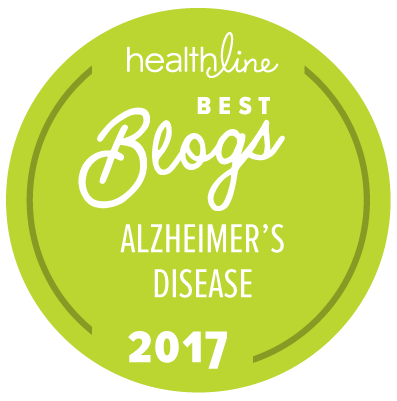 Avoid denial or trivializing: Please do not tell me how you have similar problem to my dementia symptoms, unless you actually DO have dementia symptoms! Normal forgetfulness is not dementia, and trivializes my reality. 3. Suggestions: I don’t NEED you to feel the same feelings … or to pity me. Both of us must accept the pain and grief, but I may need encouragement. You can ask, but I will probably NOT have ability to think of activities that would be helpful; you need to do that. You could drive me to my spiritual congregation, pick up groceries, walk with me, sit and crochet while watching the sunset, … or just give me a hug. Update note: I think PWD blogs (many available at https://truthfulkindness.com/about/links/ ) are a very good means of moving sympathy (caring/understanding for suffering of others) into a degree of empathy (ability to experience the feelings of another). I don’t believe true empathy for PWD is possible, because dementia symptoms create such a strong filter for our experiences that without physically enduring those symptoms yourself, you are UNABLE to “experience” them. Patient can be very good at explaining, but, as any professional knows, nothing substitutes for experience. 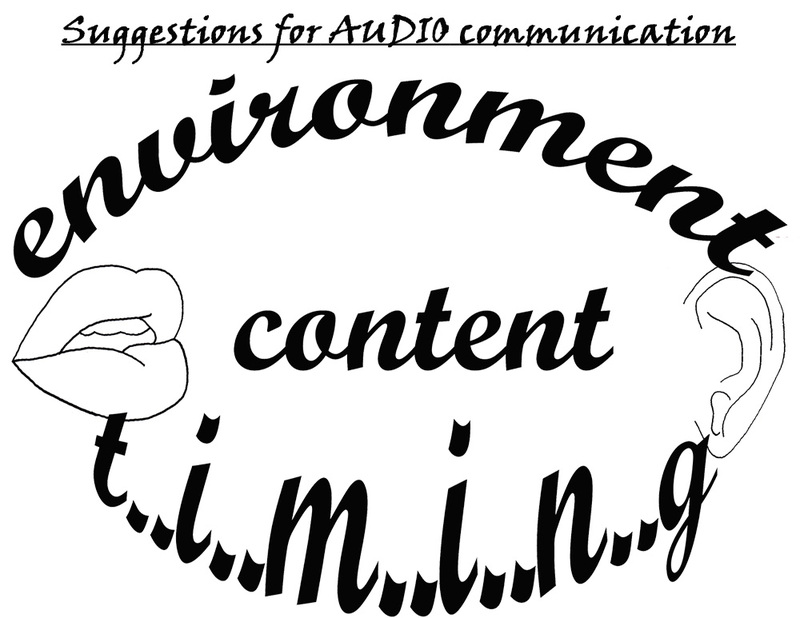 ….A) Adjust your rate of speech to my own speed; Some listeners may be offended if you slow down your speech. I suggest you use my current rate of speech as guide, because my processing speed can change even hour to hour with some types of dementia. Unless feeling a lot of pressure, I generally do not speak faster than I think. ….B) Allow time in between sentences and change of subject; Please do not rush into next sentence – especially not into next topic; give me time to digest what you said, and maybe compose reply. PWD may not remember what they want to say long enough to wait for break in conversation. Allow interruptions. ….C) Consider time of day ** or recent energy expenditures; especially if patient is experiencing lack of sleep (like me) or un-refreshing sleep, then recent “show-time” expenditures, such as doctor appointment, visitors (or even phone conversation because phone can be so stressful when cannot see speaker) or unusually strong efforts to function “normally” could cause extreme confusion or exaggerate other symptoms for some time afterward. These factors need considered in communication timing. Transparent, thoughtful communication is at the base of every relationship in life, and relationships are what makes life worth living. At some time in future, hope to blog suggestions for written communication and non-verbal communication. Author Note: This article began with my words, now found under “Detail” heading. Then husband HELPED me categorize (he did not DO it; he helped ME to do it) and distilled suggestions from each point of my observations. It is no longer easy for me to step back from my own experiences and create generalized application. Someone with intact brain function needs to do that. These efforts took approximately 25hrs in six days to complete written portion, in order to begin graphic. This entry was posted in Action request, Communication, Crucial, Important, Symptoms and tagged best, conversation, dementia, talk. Bookmark the permalink. This is great blog with wonderful information. Check it out! What a clear and informative list. While I don’t have Dementia (that I know of), I DO have some cognitive dysfunction and as a single person find socialising a nightmare. I can occasionally handle short conversations (e.g. if the shop assistant asks me how I am), but lose track of what people are saying in longer conversations. I think I will print this post for future reference (if I need to explain for the umpteenth time why I don’t accept social invitations). This is a very interesting post. I can see so much of my husband in it. Thank you. This is a remarkable guide to communicating with people with dementia. Truthfulkindness gives real insight into the difficulties faced in understanding, keeping up with and responding to what people say around and to you. Please read and remember. I too have some of these difficulties, processing sound, needing to see lips, needing time to think before responding. Sometimes more than at others. These are really good suggestions. Kudo’s to you for helping others. I know not all Dementia”patients” are the same, but there are enough similarities. I know these are helpful from experience with my own mother. Thank you. Thanks to you and your husband. I know the information but it is so easy to forget in the midst of a conversation. Your organized summary of key communication points will be a very valuable reminder in my meetings with persons in the early stage of the illness and in visits with my mom who is experiencing the late stages.